Sometimes we find ourselves struggling to fight our problems alone, without realizing that others may have similar situations. 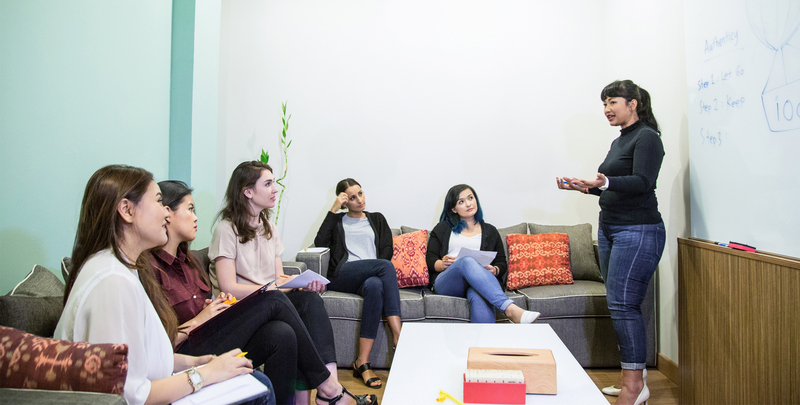 At first, it may seem intimidating to open up with strangers, but group sessions involve sharing your experience and listening to others’ experiences. Thus, a group can provide a supportive environment to discuss problems and work toward your goals and personal development. You are not as alone or different as you think. During the group counseling you will likely meet people from a wide variety of backgrounds and experiences. People in the group can offer different perspectives. Hearing from others on how they have overcome their challenges can be encouraging. Learning from every member's perspective provides you with greater insight into your personal growth and development.